Merry winter time everyone, and welcome to this week’s episode of Overwatch This. There’s only really one thing on the mind of any Overwatch player this week, and it involves snowflakes from the sky and a whole batch of new skins. For everything coming up in the game, check our run-down of future Overwatch updates. 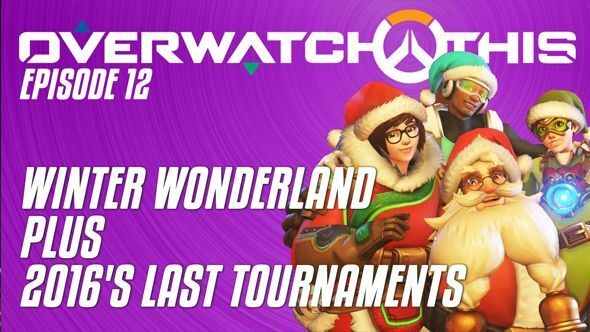 Winter Wonderland is happening, bringing with it a legion of Christmas skins and cosmetics. Ben doesn’t like it as much as Joel. A small diversion into the future of Overwatch skins and what we’re likely to see. There’s also a couple more big tournaments happening this weekend, with most of the major teams involved. As always, our YouTube channel is the place to subscribe for more – it’s great, and it’s only getting better. Next week will be our last proper episode of the year, do join us for that – it’s going to be all predictions for 2017 based on fact, rumour, speculation and some wishful thinking.